Greetings! Today I have some wonderful news for you regarding an acoustic breakthrough, which could actually diminish manatee deaths from watercraft! As you probably already know, we manatees are very slow moving. We are also marine mammals meaning we need to breath air every five minutes or so to survive. One of the biggest problems in Florida has to do with watercraft strikes on manatees as we surface for air. The boat’s propellers and hulls can create very serious or even mortal wounds. In fact, you probably have seen pictures of manatees with scar patterns on our backs or tails resulting from boat strikes. Now for the good news! Marine mammal scientists Edmund Gerstein and Laura Gerstein who live in Boca Raton, Florida say they created an acoustic solution to solve manatee mortality from watercraft strikes. Edmund Gerstein estimates that these alarms could be put out in the market for around $100 each. He said, “I think they should be part of the equipment that is required for boaters. The best thing you can do is empower the animal itself by giving it sensory awareness.” And I couldn’t agree more! 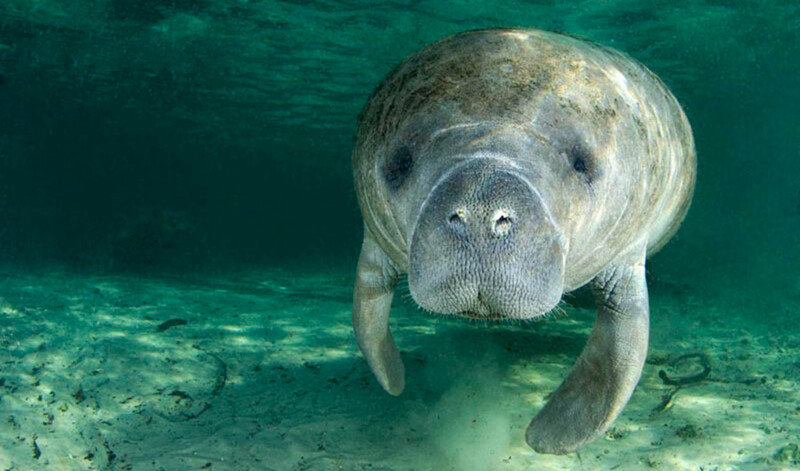 Acoustic Breakthrough Could Erase Manatee Mortality from Watercraft Hits!